How Many Months in your Membership? 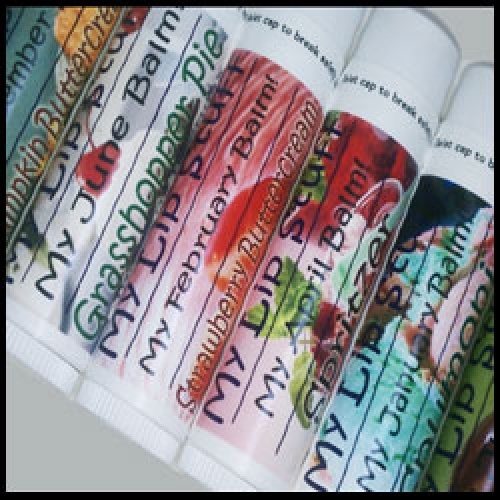 ~Receive 1 tube of a BRAND NEW FLAVOR My Lip Stuff balm every month you are a member. Flavors are pre-determined & are flavors that we do not currently have on our flavor list. ~All Balms will be received the first few days of the month. If you would like the FIRST BALM to be shipped on a specific date (for Christmas/Birthdays/Etc..)- please choose your month from the drop down list then comment with the DAY in the comments box during checkout. ~Be sure to choose GIFT option: yes/no from the drop down menu. Gift option will include a note about the "Club" & any personal messages you would like included. ~You can choose which month you (or your friend) would like to begin receiving your "Balm of the Month" (perfect for those who shop early!). Select now or a specific month to start from the drop down menu. ~You can even have the tubes personalized too! (Ex: Brea's June Balm!) Choose yes/no for personalizations from the drop down menu and type any personalizations in the comments box during checkout.